Namal is a three year old baby elephant who lost part of his leg in a snare trap. 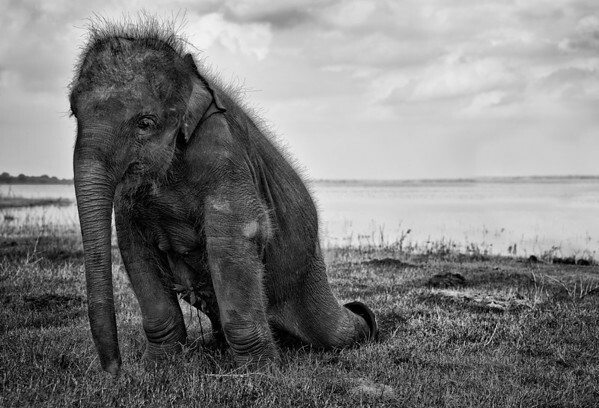 He is one of 28 orphans being raised at a sanctuary in Udawalawe national park, but unlike the others, it’s unlikely he’ll ever be strong enough to be returned to the wild. For now, he’s small enough for his keeper, twenty six year old Salinda to be able to attach a prosthetic leg to help him get around, but sadly he faces a very lonely future.